Millennium Settlements leads the way by offering the most comprehensive advisory services and innovative financial programs in the industry. As the country’s leading and fastest growing plaintiff-based structured settlement provider, Millennium Settlements recognizes that, whatever your client’s personal settlement needs require, every successful outcome begins with a comprehensive plan. Through our needs-based approach and extensive litigation support services, we design each settlement plan to work specifically in the best interest of our clients, ensuring their financial futures. From structured settlement annuities to special needs trusts to medicare set-asides, Millennium offers an array of services to suit your client’s unique situation. 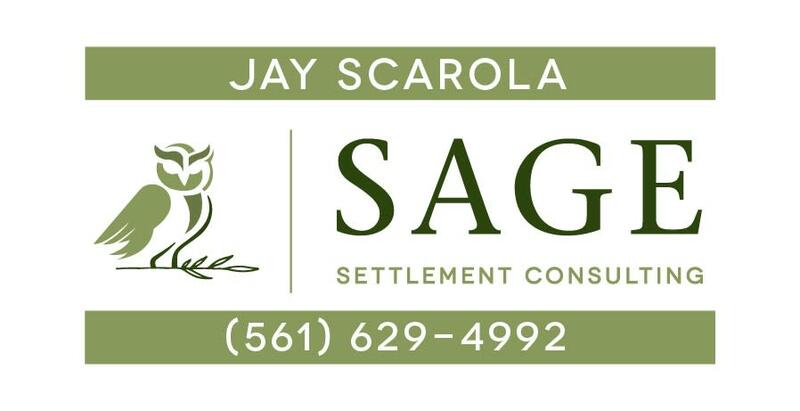 Learn more about Millennium’s proprietary attorney fee structure products by contacting John M. (Jay) Scarola, CSSC today by phone at (561) 629-4992 or email jscarola@msettlements.com. Through Millennium’s partnership with Providio, we can help identify cases that may require assistance with lien resolution or Medicare Set-Asides— whether they are mass tort or single event cases. Outsourcing lien resolution and MSAs to Providio is a critical decision, even after both parties have reached a settlement. The timely, effective resolution of insurance and provider liens can be the difference between a successful outcome or an irate client. Providio can resolve liens and administer MSAs faster and with greater reductions than those who simply deal in settlement or litigation alone. Millennium works closely with Plaintiff Support Services to provide pre-settlement funding to attorneys. Plaintiff Support works with you to ensure that you have the proper funding to assist you while your case settles at one of the lowest costs in the industry. Pre-Settlement Funding is available to plaintiffs when their case has settled and they are waiting for the settlement funds to be distributed. Funds are provided via check or debit card for instant access to your money. Plaintiff Support is repaid at the time of the distribution of the settlement funds. Millennium works closely with Counsel Financial to provide funding for attorneys. Once cases are resolved, payments to attorneys can be delayed for numerous reasons. You can gain immediate access to your attorneys’ fees through Counsel Financial’s post-settlement financing vehicle. Post-settlement funding provides you an immediate advance on your anticipated attorneys’ fees and reimbursable expenses on settled cases. By viewing contingent fees as your firm’s most valuable asset, Counsel Financial can provide you much more financing than a bank at some of the lowest rates in the industry. A structured settlement is a voluntary agreement reached between an injured party and the defendant under which the plaintiff/claimant receives compensation for an injury. With a structured settlement annuity, the injured party does not receive compensation for his or her injuries in one lump sum. Rather, he or she receives a stream of guaranteed, tax-free payments tailored to meet future medical expenses and basic living needs. The injured party receives compensation when needed as determined at the time of the settlement. The claimant receives payments from two of the safest investments available—life insurance company annuities and U.S. Treasuries. public benefits, such as Supplemental Security Income or Medicaid. Millennium Settlements provides important consulting services to help ensure that clients protect and maintain eligibility for government benefits while they settle their case. Various types of SNTs include Disabled person under age 65 (42 U.S.C. 1396p(d)(4)(A)), Disabled person over age 65 (42 U.S.C 1396p(d)(4)(C)), and Third Party Special Needs Trust. Millennium Settlements leads the way by offering the most comprehensive advisory services and innovative financial programs in the industry. As the country’s leading and fastest growing plaintiff-based structured settlement provider, Millennium Settlements recognizes that, whatever your client’s personal settlement needs require, every successful outcome begins with a comprehensive plan. Through our needs-based approach and extensive litigation support services, we design each settlement plan to work specifically in the best interest of our clients, ensuring their financial futures. From structured settlement annuities to special needs trusts to medicare set-asides, Millennium offers an array of services to suit your client’s unique situation.